More thired rate hand me down junk advertised by the resident fanboy. Quite right. These airplanes are being dumped on Iran (instead of being sent to the Junkyards) and Bache Basijis are hailing it as a victory against the sanctions. Sure the iran can not be blamed why the western country do not sell them new airplane. 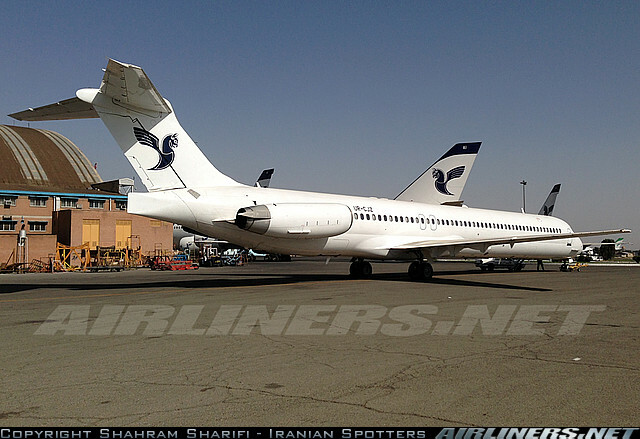 If Iran can overhaul the maintain the old plane and fly it safe. they are learning a lot by doing.
" Sure the Iran can not be blamed why the western country do not sell them new airplane." sure it can be blamed. Some silly boys and their usual nonsense. Most western airlines also fly 40 year old planes including 747 and 737, MD11 etc. This is good that Iran can get these planes at low cost and upgrade them at its excellent repair facilities. Please some of you losers keep on posting drivel and amuse the adults. BTW, the recent intelligence estimates have given the Islamic Republic and the IRI at least another 50 years longevity, so you losers will be long dead, but kindly don't pass on this self-consuming Iran hate to your moronic children as they would turn out as idiotic as you chumps.LOL and then some. Indeed,dying is part of the mullah and Bache Basiji culture.Hence the purchase of these flying coffins. Is it a coincidence that some Mark's modest infos provide in reality a space to people who ridicule achievements of the Islamic Republic.., like it was with a following Jabar's article that Iranian manufactured cars " excessively polute" an environment...? The Iranian manufactured cars DO polute excessively compared with the European ones according to the IRI own responsible bodies. The body responsible for air quality control and the Chief of the Police responsible for Trffic in Iran. Anon 6:44 PM....Silly boy! If instead the intelligence agencies would have estimated the collapse of the IRI within 5 years you wouldn't have valued their estimate.But don't gloat too soon because it's not up to any intelligence agency to decide or even predict the fate of any nation on a long term bases.Just out of curiosity can the wishful thinking Basij boy provide any links regarding this "recent intelligence"?